Ah, curb appeal. Some people just have that magic, and some don’t, right? Make it neat. Nothing says, “well-maintained” like clean, tidy yard. Wind up the garden hose. Put away the toys. If you live on a busy road, seek and destroy those hidden flecks of debris that blow off the street. Rake the leaves. Sweep the walk. And for heaven’s sake, pull those weeds, already! Do those repairs. Over time, gutters sag and paint chips in a hundred spots. Eat those elephants one bite at a time. Make a repair schedule for yourself, do one project at a time, and you’ll have turned those eyesores into visual assets in short order. Trim, trim, trim. One trait of all appealing yards is their lines — the lawn is properly edged, the shrubs are rounded or squared uniformly, and trees are pruned of all dying or dead branches. If you have flower beds, make sure the borders are trimmed with edging or other solid materials, and add mulch to cover bare dirt spots. Add some color. To really make your front yard pop, plant some seasonal annual flowers in high-visibility beds close to the street and against the house. If you have flowering shrubs, keep them trimmed and watered to increase their flower yield. When you’re going for first-glance appeal, you don’t have second chance to make a first impression. 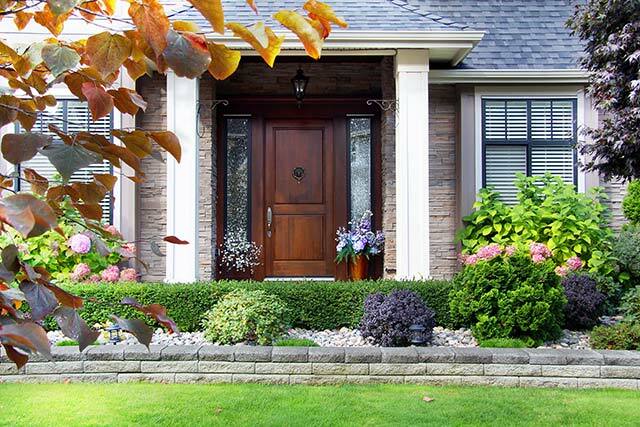 Make the most of that first look, and your chances of a quick sale will bloom!